The past weekend I ventured up to Towson University to see some old friends and explore the bar scene. A welcome change to the low-key pace of my neighborhood with very little to offer thirsty 22 year olds. Our bar crawl eventually led us to an Irish bar for some good old fashioned (and oxymoronically-named) Irish car bombs. 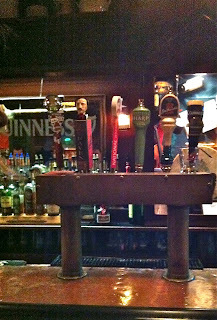 My gluten-guzzling friends knocked the drinks back while I opted for a cocktail--and was left admiring the bar taps. Sure, this wasn't my first time (or hundredth time, sorry Mom) at a bar, but the taps at this particular place were so unusual, I had to snap a photo. 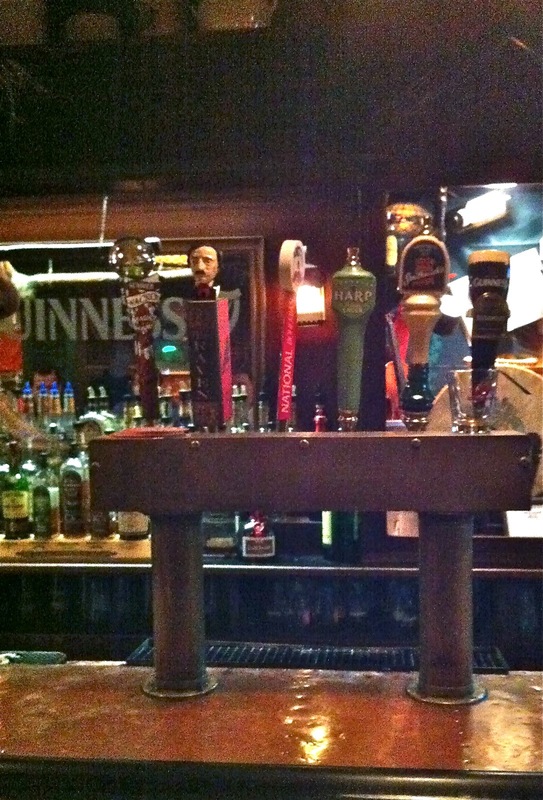 It turns out that beer tap handles have quite the history, for being such an undervalued piece of the drinking equation. After the end of Prohibition, legislation was passed requiring beer brewers to denote their specific tap with an individual handle--so that customers could be sure of the type of beer they were getting, and to protect them from being overcharged by greedy barkeeps. With the rise of "craft beers" in the late '80s": smaller, independently-run microbreweries, companies attempted to appeal to customers with unusual and spunky handles. My gluten intolerance keeps me from drinking beer anymore but I'll start keeping an eye out for unusual designs when I go out.